I tried some delicious snack food green peas today. 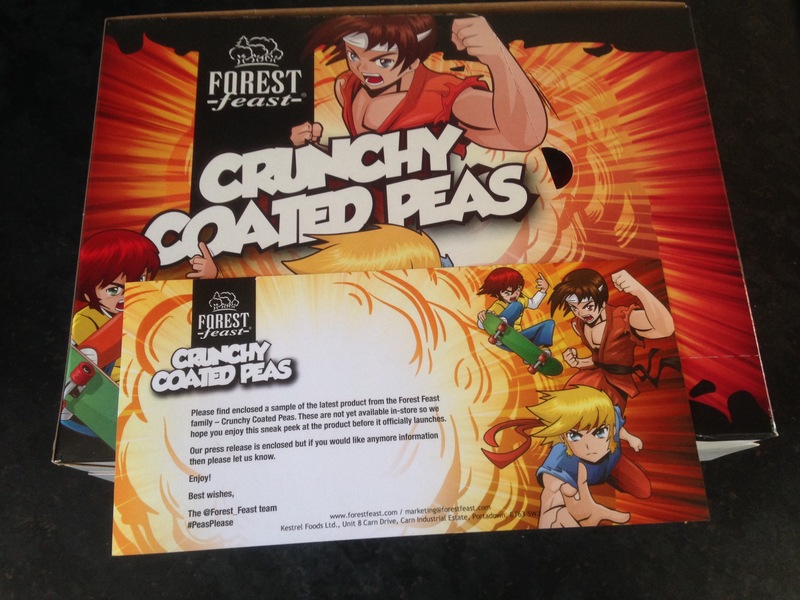 They are flavoured coated green peas, and are from Forest Feast, a local (Portadown) based snack food company. 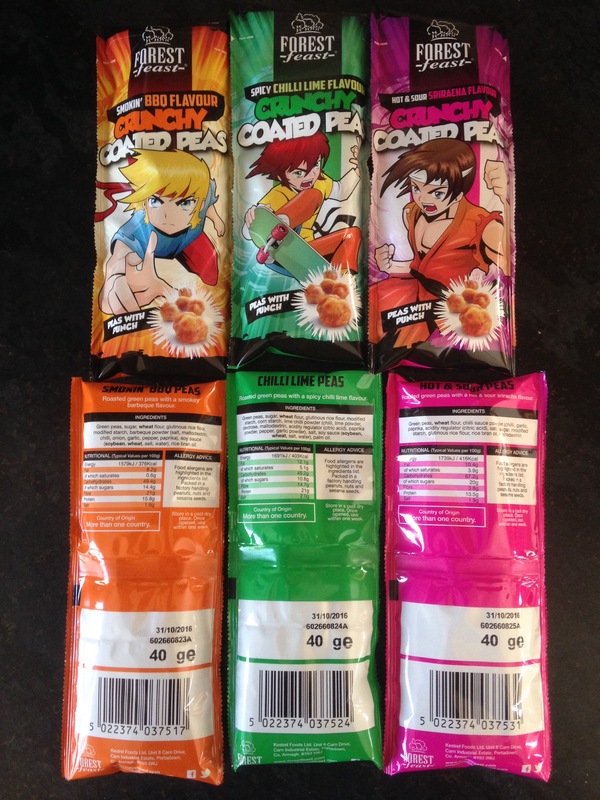 There are three different flavours being Smokin’ BBQ , Hot & Sour Sriracha and Spicy Chilli Lime. My favourite was the Sriracha-nice and spicy, my two daughters loved the BBQ and my wife loved the Chilli lime. So you can see there’s something to please everyone!!! Will be in the shops soon. Available in 40g bags. Will cost 89p and available from multiple outlets in the summer.